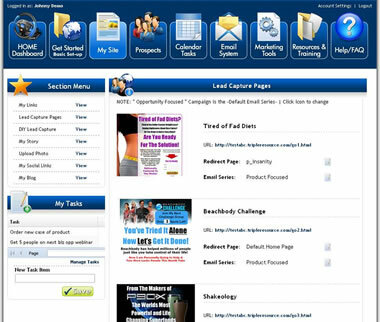 My Custom Lead Capture Pages - This is where each user can build their own lead capture page using a provided template. The user is able to build the optin form and select which fields to include, ask up to 5 custom questions and select the message campaign and redirect page. More on next page.